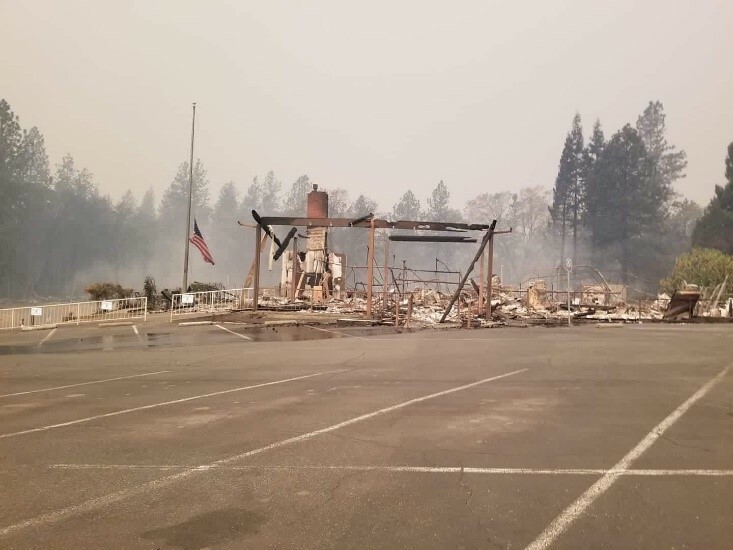 The Paradise, CA Elks Lodge was destroyed in the recent “Camp” fire and 90% of the members of the Paradise Elks Lodge lost their homes. To assist with the urgent needs of the members of the Paradise, CA Elks Lodge, the Florida State Elks Association advanced $10k from our Florida Disaster Relief Fund to the California-Hawaii Elks Association Emergency Disaster Fund. 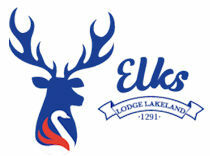 It is now our hope that the Elks members and Lodges of Florida will assist us in replenishing our funds so we will be ready the next time a disaster hits anywhere there are Elks! Incidentally, the Florida Elks made an earlier $10k relief fund donation to assist with relief efforts in the Panhandle after Hurricane Michael wreaked its havoc up there! Tax-deductible donations may be made payable to Florida Elks Charities and mailed to P.O. Box 49, Umatilla, FL 32784-0049. Please note on your check that the donation is for the Florida Elks Disaster Relief Fund. The above picture is what remains of the Paradise Elks Lodge. The fires in California have left a path of total destruction and loss of life like no other. The number of missing is still a frightening number. The California Hawaii Major Project Incorporated, CHEMPI, is accepting funds to assist residents of Paradise and the surrounding area with immediate needs as they try to recover from total loss. People ran from their homes in fear of the fire, some were able to drive away only to be trapped in the ragging fire and died along the side of the road, most who did escape did so with only the clothes on their back and a few personal items like pictures and important papers. This fire destroyed not only their homes but their place of business, their grocery store, gas station, the Elks Lodge, department stores and their jobs. The outlook for Paradise, California is very bleak. It was a town that truly reflected the name and now it has been flattened by the most powerful fire ever in California. It is this reason that I am writing you. Please ask you lodges to provide help. I hope you will consider a donation for both the Florida and California relief efforts!